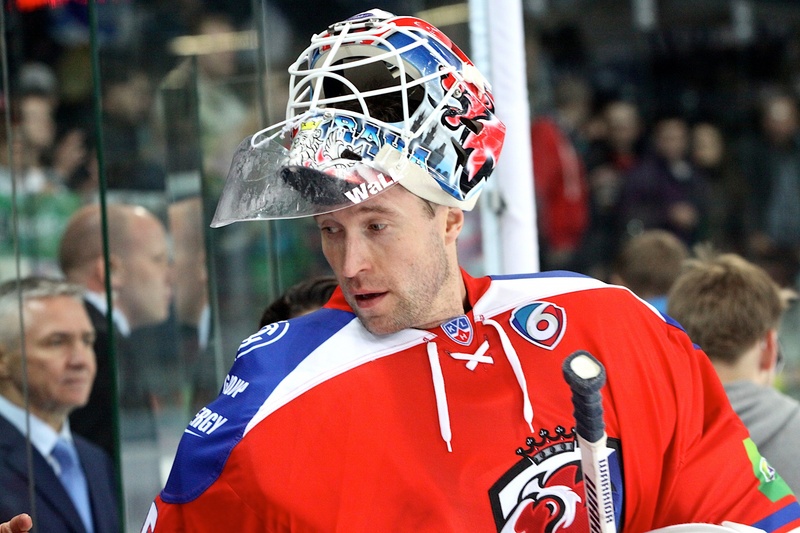 KHL.ru continues to tell the stories of the players who left the largest mark on the league. In this edition, we visit Finnish goalkeeper Petri Vehanen, who won the Gagarin Cup with Ak Bars and later reached the finals again with Lev Praha. Vehanen first came to Russia two years before the founding of the KHL. He landed in the Superleague in the 2006-07 season, appearing with Neftekhimik Nizhnekamsk. By then, the 29-year old keeper had spent six years with his hometown club Lukko, while also appearing in Norway, Italy, and one year in the Swedish league. “I was a little nervous before this trip to Russia. It was tough, as the only person on the team who spoke English was Yevgeny Nurislamov, and the internet wasn’t as fast as it is now. It was hard to keep in touch with my family. But Neftekhimik proved to be a good organization, and we had a pretty good year,” says Vehanen about his first year in Russia. After his stint with Neftikhimik, Vehanen returned to Lukko. He also started receiving invites to the Finnish national team, with whom he won third place in the World Championship. Ak Bars Kazan, who had already won their first Gagarin Cup, then came calling. 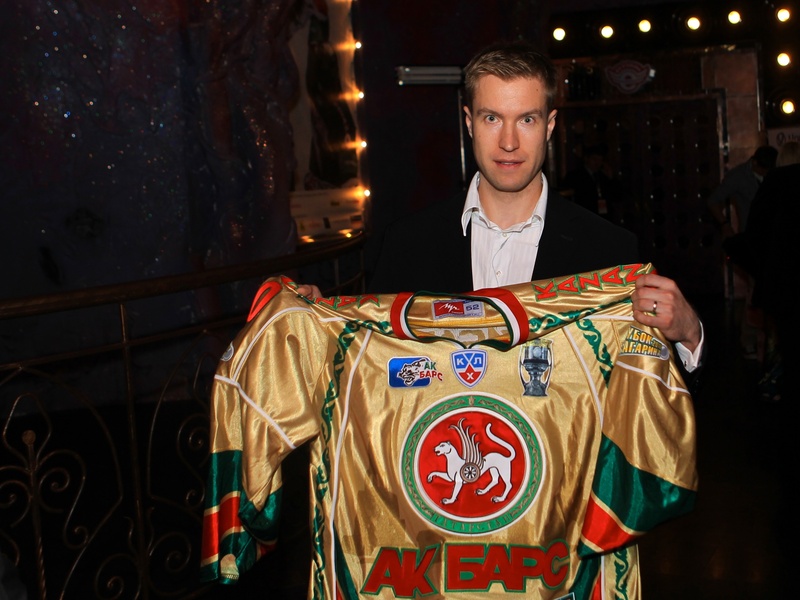 “Ak Bars is an incredible team, I arrived in the middle of the season and was shocked how quickly I was able to fit in. They already had Finnish players, which made adapting easy. We won another championship… It was all like a fairy tale,” says Vehanen. Vehanen’s start in the KHL was impressive – he picked up 15 wins in 25 regular season matches, to which he added another 15 victories en route to winning the Gagarin Cup. The team’s next two seasons were not quite as successful, but Vehanen set a league playoff record that remains standing: a shutout streak of 225 minutes, 13 seconds. The streak began in game 7 of the 2010 finals and continued into the following playoffs. “That championship win – it was the best memory of my entire career. Given the travel schedule, winning the playoffs in this league is a very difficult task. Of course, winning the World Championship was similar, but they’re different things. I still follow Ak Bars and went to Kazan last summer for the Football World Cup. The city has changed a lot, especially the centre and along the river. “This season I was in Helsinki at their [Ak Bars’] game with Jokerit, and it was great to see some familiar faces. It was just a shame that Emil Garipov was injured. But when Ari Moisanen came to Ak Bars, I knew that Emil would be in good hands. He performed at a very high level last season. When you work so hard, it always pays off. I’m always in touch with Ari, we live in the same city and see each other often,” continues Vehanen. After Ak Bars, Vehanen returned to Lukko for a year before playing a season with Lev Praha. That team reached the Gagarin Cup finals, where they fell to Magnitogorsk Metallurg in seven games. “It was the funniest year of my career. We had some Finns, Swedes, North Americans, Czechs. I really liked Prague, I love these kinds of cities in central Europe. It’s a real shame that we didn’t win the title, but I’m happy that Justin Azevedo and Jiri Sekac were still able to do it with Ak Bars,” Vehanen adds. 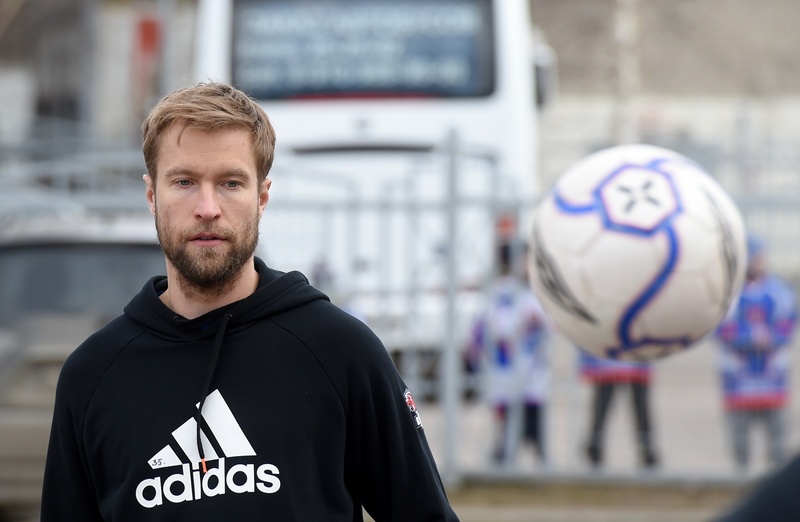 Vehanen could have stayed with Lev the next season, but the club folded. The Finnish goalkeeper then set off for four years with Berlin’s Eisbaren, before deciding to hang up his skates last summer. “I had a few offers in the KHL, but I decided to go to Germany. It was important for my family, if only because it meant less travel. It’s not such a bad league – there’s a good atmosphere at each game, the hockey is more open, but the defensemen aren’t quite like in the KHL. I don’t regret spending the last years of my career there. “Now I’m working with young players, at my hometown club [Lukko] and in the Finnish national under-17 team. Over the last few years, I’ve started to think about coaching. I just want to be a goalie coach and help develop the young guys. The decision was quite easy and natural,” Vehanen finishes.